Representation and reasoning about goals of an information system unavoidably involve the transformation of unclear stakeholder requirements into an instance of a goal model. If the requirements engineer does not justify why one clear form of requirements is chosen over others, the subsequent modeling decisions cannot be justified either. If arguments for clarification and modeling decisions are instead explicit, justifiably appropriate instances of goal models can be constructed and additional analyses applied to discover richer sets of requirements. The paper proposes the “Goal Argumentation Method (GAM)” to fulfil three roles: (i) GAM guides argumentation and justification of modeling choices during the construction or critique of goal model instances; (ii) it enables the detection of deficient argumentation within goal model instances; and (iii) it provides practical techniques for the engineer to ensure that requirements appearing both in arguments and in model instance elements are clear. 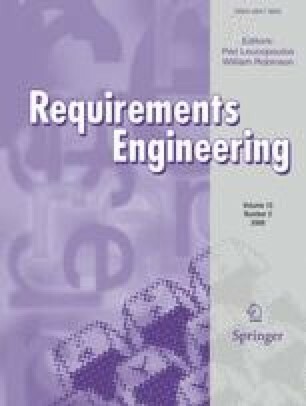 A preliminary version of this paper appears in Proceedings of the 14th International Requirements Engineering Conference (RE’06). The first author acknowledges funding from the Belgian ICM/CIM Doctoral Fellowship Program.